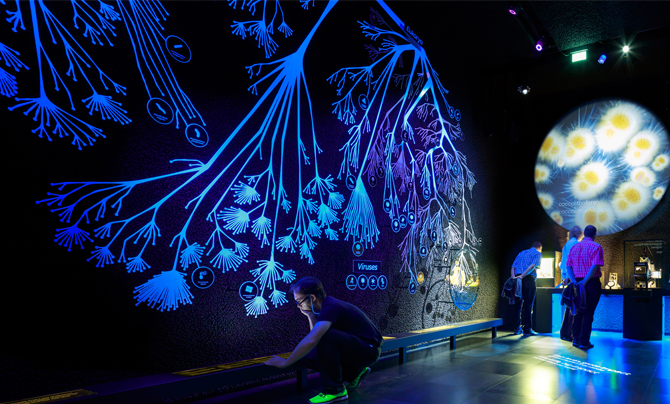 Micropia is also a platform, a link between the scientific community and the public. In this way, Micropia reflects the growing importance of biotechnology and life sciences. 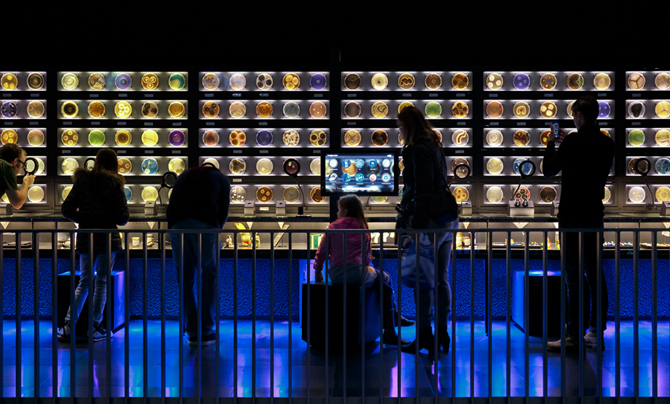 The European Museum Forum, a body under the aegis of the Council of Europe, has been awarding the European Museum of the Year Award (EMYA) annually since 1977. Several special prizes were awarded as well like the Kenneth Hudson Award for most innovative museum of Europe. Since it opened in 2014, Micropia has received numerous international nominations and awards. Micropia was one of the honorees in the Exhibition category of the American Best of Year (BOY) International Interior Design Awards in 2015. In that same year, Micropia made off with the special jury prize of the prestigious British Museum + Heritage Awards. Earlier this year, Micropia was awarded the jury prize for exhibition design during the German Design Award event. The exhibition was designed by Kossmann.dejong, an Amsterdam-based exhibition design studio, in collaboration with ART+COM Studios.